MOBILE PHONES: Open Navigation to CREATE A CONDO SEARCH. 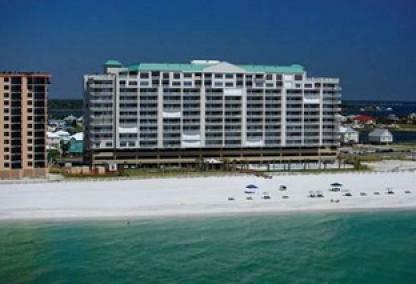 Predefined searches list Orange Beach condos for sale by price, water frontage, building and more. Recently SOLD info, like closed prices & dates along with cash flows and Orange Beach condo revenues help calculate costs. 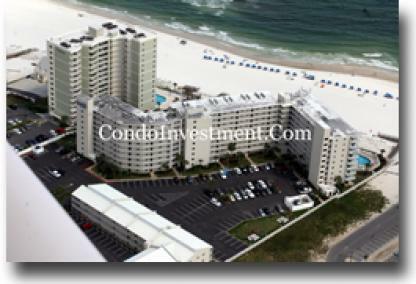 CondoInvestment.com's top rank helps sell client condos or significantly improve revenue while our exclusive aerial imagery offer rich perspective of Orange Beach. Orange Beach condos stretch from the Phoenix X on the East-end and Palm Beach on the West-end. 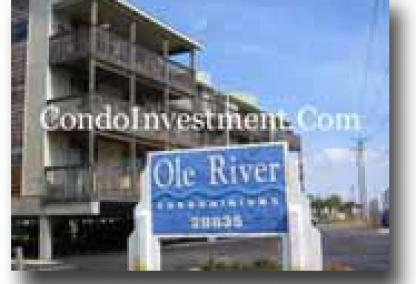 Old River, Wolf Bay, Arnica Bay, Bayou St. John and numerous inland waterways create a huge real estate market and many listings for Orange Beach condos with boat slips. We've included and use various aerial images and videos to help offer better perspective and have a commercial drone license allowing us to gather amazing imagery of our beautiful Gulf Coast. We try and provide as much helpful info as possible to keep our clients and followers updated with the latest news and info. Examples include our latest efforts to provide menus for every restaurant at the beaches in a single spot - to revenue info for every condo for sale in Orange Beach, AL and surrounding areas. 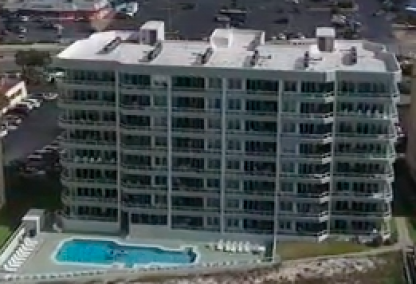 Western end of Orange Beach - These are the first gulf front condos in Orange Beach representing the West-end of the city limits. Palm Beach is 3.4 miles from Gulf Place in downtown Gulf Shores and just West (left in the image) of Sugar Beach and the Western-most Orange Beach condominium. Sugar Beach is 3.6 miles, Phoenix West II 4 miles and Phoenix West is 4.5 miles from Gulf Place. The Cottages at Romar is actually beach houses in tiers next to Harbour Place condos. ReadHarbour Place is a low-density 65-unit condominium and a short drive to Gulf Shores & Orange Beach restaurants, shopping, and other attractions. These condos are one to three bedroom plans and range from 690 to 1,300 square feet of living space. The complex features a swim-thru outdoor/indoor pool, hot tub, and a grilling area. 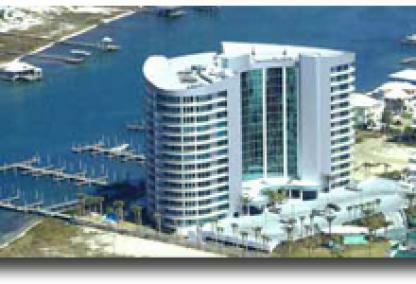 Built in the mid 90's, Harbour Place is a great value for a beachfront development in Orange Beach. 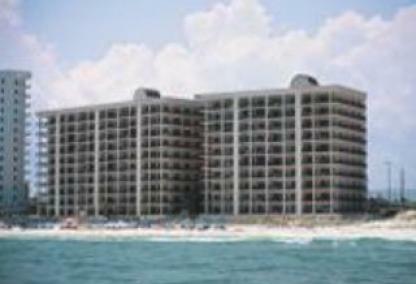 ReadSugar Beach condominiums were built in 1985 and are located on the western side of Orange Beach. The complex offers several floor plan options from efficiency studios up to three bedroom townhome-style units. This older development is just steps from the white-sands of the Gulf and has family-friendly amenities including 3 outdoor pools, a kiddie pool, tennis courts, gazebo and BBQ area. Sugar Beach is minutes from many Gulf Shores and Orange Beach restaurants and entertainment venues. Orange Beach Aerial Map - Romar Beach is commonly used to describe this stretch of Orange Beach and houses some of the area's first gulf front condos. 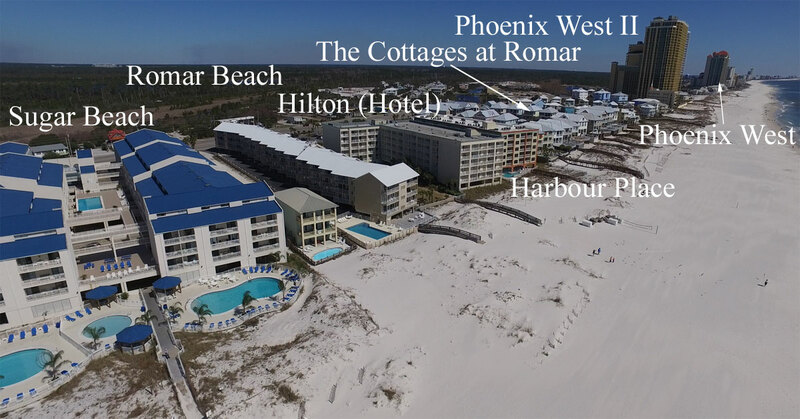 Romar Beach is just West of downtown Orange Beach and across from shopping centers and numerous restaurants. 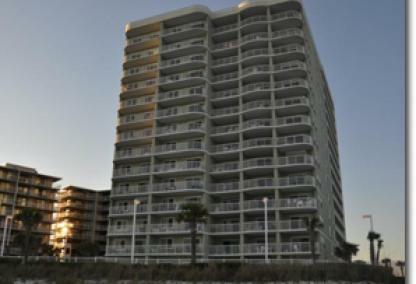 Some of Orange Beach's most popular condos sit in this area making it a great spot to search for condos for sale. Separate Orange Beach condos for sale by building using these links or skip to search by price - Phoenix V is 5 miles from Gulf Place and the furthest East on this map followed by Romar House (4.9), Phoenix I & II, Phoenix III & IV, Four Winds (4.7), Escapades, Romar Place (4.7), Romar Tower (4.6) & Phoenix West (3.4) in Orange Beach on the Gulf of Mexico. Phoenix West II and Sugar Beach are not pictured and among the first gulf front condos in West Orange Beach, AL. 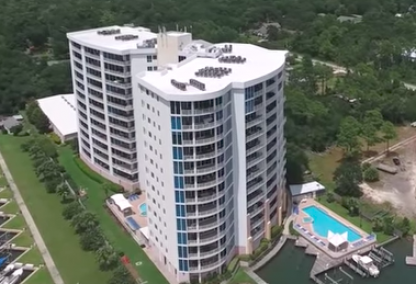 ReadPhoenix I is one of the oldest condo developments and the first in the series of Phoenix condominiums built throughout Orange Beach and Gulf Shores. Developed in 1985, the building offers 1, 2, & 3 bedroom units and 4 bedroom penthouse suites ranging from 680 SF to 2,500 SF. The property boasts a great amenity package including beach front pools, hot tubs, racquet/tennis ball courts, BBQ area, exercise center, & gated security. Phoenix I is centrally located and close to many local attractions. ReadPhoenix II is located adjacent to Phoenix I in Orange Beach. Both buildings are identical holding 100 units each and have are structurally sound with a poured in place concrete exterior. Phoenix II offers the same amenity package as its neighbor. 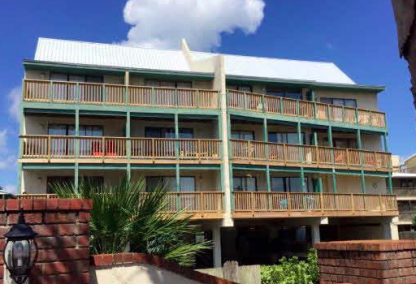 Centrally located in Orange Beach, these gulf-front units are popular among family vacationers and are major producers of rental revenue. 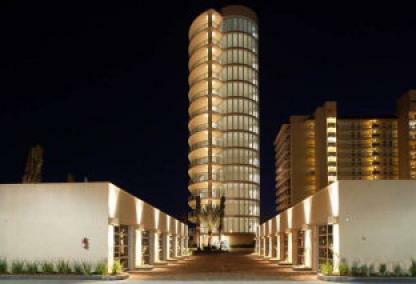 ReadPhoenix III is a 15-story poured-in-place concrete condominium in central Orange Beach. Developed in 1993, these well-appointed condos offer 1, 2, 3, and 4 bedroom plans with living areas ranging from 690 sq ft to 2,200 sq ft. Amenities include an outdoor beachfront pool, indoor pool, sauna, gym, lighted tennis courts and an indoor racquetball court. Phoenix III is in a great location just minutes from restaurants, shopping, and entertainment. These condos have very successful rental programs. ReadDeveloped in the mid-90s, Phoenix V is 14-story condominium consisting of 247 gulf front units. The building is structurally sound with a solid poured in place concrete exterior. Part of the popular Phoenix condominium series, these condos have a terrific rental history and make a great investment. Amenities include an outdoor pool, splash pad, hot tubs, sauna, tennis courts, & more. The development is close to restaurants, grocery stores, and is adjacent to Gulf State Park Romar Beach Access. Pelican Pointe is 5.5 miles from Gulf Place with Windward Pointe (5.4) and Shoalwater next the the Holiday Inn and then Seascape, Tradewinds, Seaside Beach & Racquet is 5.2 miles away. These gulf front condos are highly popular among vacationing families and are conveniently located near large shopping centers, restaurants, marinas, and amusement parks. 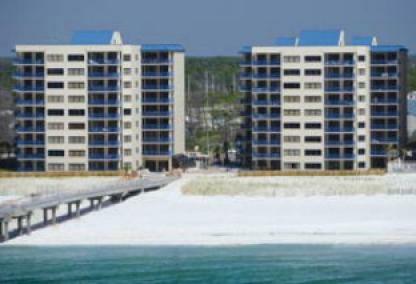 Condos at Windward Pointe and Pelican Pointe rank high on our list for best investment condos in Orange Beach. These units are rarely on the market and do not last long when they do become available. Find more Orange Beach condos for sale by using our interactive maps and pre-defined search options such as "corner units", "efficiency" or "under 10 years old". ReadBuilt in the mid 80s, Seascape is a low-density complex located in the Romar Beach area just behind Souvenir City. 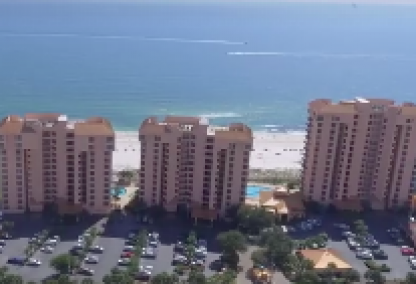 While not directly on the beach, these two- and three-bedroom condos offer great gulf views. The building offers 33 total units and are rarely listed on the market. Seascape amenities include a beach boardwalk, outdoor pool, BBQ area, gazebo, and covered parking. overed Parking. 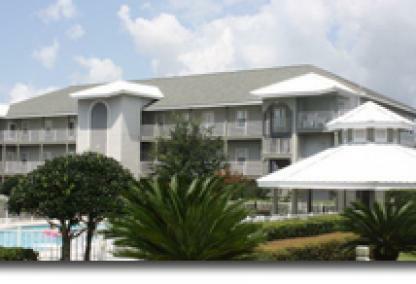 The complex is walking distance to Orange Beach shopping, restaurants, entertainment and more. 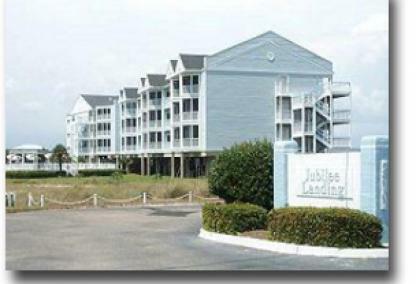 ReadSeaside Beach & Racquet Club is a popular development in central Orange Beach. Developed in 1984, the 197-unit complex holds 1, 2, & 3 bedroom condos ranging from 600 SF to 1,200 SF. Views vary by condo with some providing direct gulf view and others indirect views. The property features outdoor/indoor pools, hot tub, sauna, fitness center, tennis & racquetball courts, and a gated entrance. 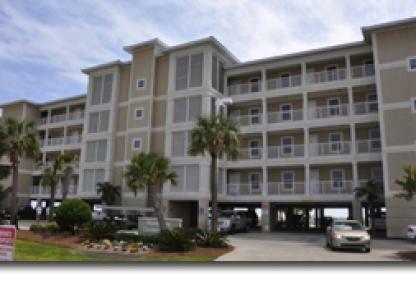 Close to many Orange Beach attractions these condos make great rental properties or vacation homes. ReadShoalwater is a 72-unit condominium developed in 1996. 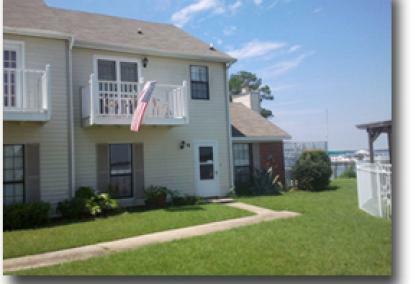 Located in central Orange Beach, the complex offers 3 bedroom/2 bath units with approximately 1,200 square feet of living area. 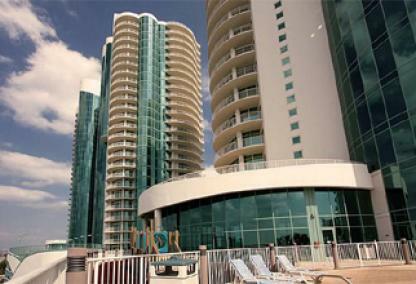 All units provide unobstructed views of the Gulf and oversized balconies. The property offers an outdoor/indoor pool, kiddie pool, hot tub, fitness room, BBQ area, and tennis & racquetball courts. 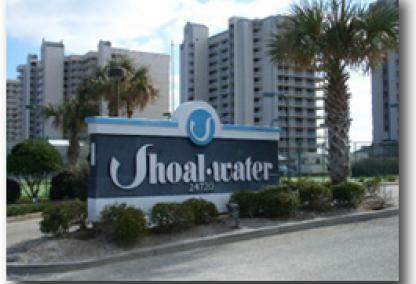 Shoalwater is walking distance to several attractions such as Adventure Island amusement park. 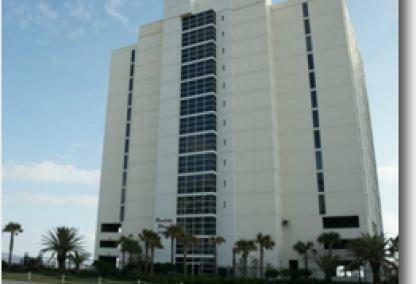 ReadBuilt in 1999, Tradewinds is a 14-story condominium in the heart of Orange Beach. The complex offers either 1BR/2BA or 2BR/2BA units ranging from 700 SF to 1,100 SF of living space. Property amenities include an indoor & outdoor swim-through pool, community BBQ area, and gate security. These condos are great rental income producers making an ideal investment. Tradewinds is in a desirable location with many restaurants and attractions just a few minutes away. 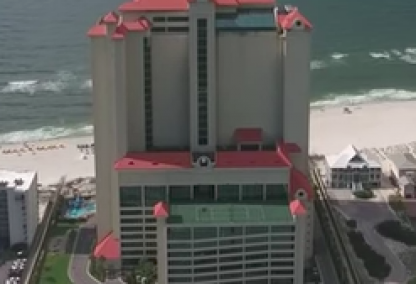 Sea Chase, originally known as the "Great Gulf Front Resort" is 6 miles from Gulf Place with Opal (5.9), Summer House (5.8), Bluewater (5.6), White Caps (5.6) & The Sands at Romar Beach, a non-rental complex, in central Orange Beach AL is 5.5 miles from Gulf Place in downtown Gulf Shores, AL. 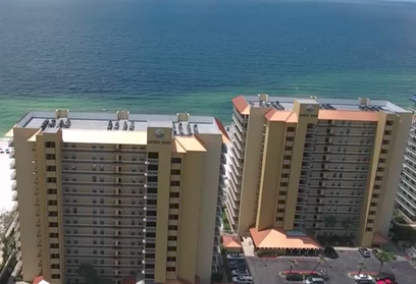 These Orange Beach condominiums offer great amenity packages including large beachfront pools, indoor pools, hot tubs, fitness centers, and BBQ areas. All are centrally located in Orange Beach and minutes from The Shoppes at Palm Pointe and Gulf Beach shopping centers featuring a Publix Super Market, Winn Dixie, Walmart, drugstores, and numerous dining establishments. ReadBuilt in 1996, Bluewater is a medium-density complex housing 84 beach front units. 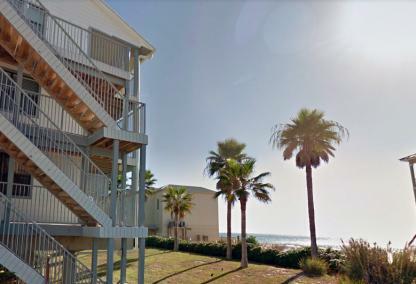 The 14-story building offers 3 bedroom/2 bath units with spacious balconies directly facing the Gulf of Mexico. Bluewater is a great family-friendly condominium with plenty to offer including a beachside pool, indoor pool, kid's pool, BBQ grilling area, fitness center, and onsite security. The development is less than a mile from Wal-Mart & Publix stores and popular seafood restaurants. ReadDeveloped in 2006, Opal is one of Orange Beach's most exclusive residences. These luxurious condos offer 4 or 5 bedrooms floor plans and feature upscale furnishings including a Sub-Zero refrigerator, Wolf gas cook top, Poggenpohl cabinetry, stunning floor-to-ceiling windows, & oversized tiled balconies. Each of the 13 residences have separate elevator entries and offer a grand living space of 4,300 SF. The condos at Opal make a great permanent home or second vacation home. ReadOriginally known as "The Great Gulf Front Resort", Seachase is a series of 3 condominium complexes holding a total of 187 units. Developed in 1985, Seachase has a long-standing history as one of the area's top family-friendly resorts. Amenities at Seachase include a total of 5 outdoor/indoor pools, hot tubs, children's splash pad, fitness room, tennis courts, and beach chair service. 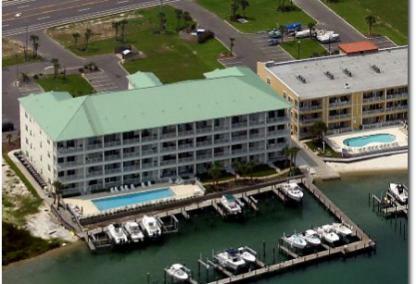 The resort is walkable to several restaurants and close to shopping centers, fishing charters, & entertainment. 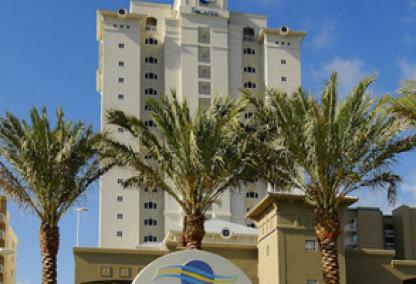 ReadBuilt in 1996, The Sands at Romar Beach is located in central Orange Beach and close to dining, shopping, and entertainment. The condominium complex holds 84 individual units all comprised of 3 bedroom/3 bath floor plans ranging from 1,850 to 2,000 square feet. Each condo provides stunning views of the Gulf from the living room, master suite, and private balcony. Onsite amenities for The Sands include a gulf-front pool, indoor pool & hot tub, fitness room, & tennis courts. ReadBuilt in 1996, White Caps is a 14-story beachfront development comprised of 84 units. Centrally located in the "Romar Beach" area, these condos are all 3 bedroom/2 bathroom floor plans at approximately 1,250 square feet. This property boasts a gulf front pool, indoor pool, hot tub, exercise room, tennis court, grilling area, and covered parking. Restaurants, shopping plazas and several supermarkets are minutes away. This area of Orange Beach is near numerous restaurants, shopping outlets and area attractions. From the East, Turquoise Place is 7.2 miles from Gulf Place is one of Orange Beach's most luxurious appointments. Next door is the Palms (7.1) then the Admiral's Quarters (7), Nautilus (6.9) and the Four Seasons (6.9) which is the only condo in the area with its own gulf fishing pier. Just down the beach is Summerchase (6.6) and Grand Caribbean is not direct gulf front, but offers deep water access close to Perdido Pass and, like Summerchase, is also 6.6 miles from Gulf Place. ReadBuilt in 1988, Four Seasons is a mid-rise condo development and is the only complex that boasts a private fishing pier. Stretching 702 feet over the gulf, the pier is ideal for those wanting to fish in deeper waters. The property also features outdoor/indoor pools, a gym, BBQ area, and gated entry. Units are nicely furnished with living spaces ranging from approx. 1,400 SF to 1,900 SF. Four Season is a great producer of rental income making it a smart choice for investors. 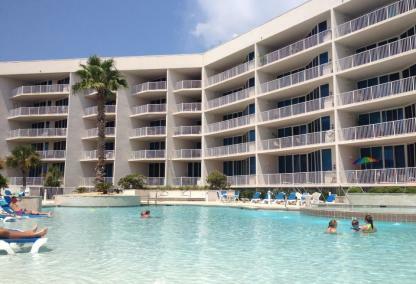 ReadSummerchase is a family-friendly condominium located in the heart of Orange Beach. Condos at this gulf front development make great vacation homes or investment opportunities due to its well-rounded amenity package and central location less than a mile from popular shopping centers and restaurants. Summerchase features a gulf front pool, indoor pool & hot tub, kiddie pool, tennis courts, exercise room, sauna, and BBQ area. These well-appointed condos are available in 2, 3, & 4 bedroom plans. This area of Orange Beach, AL is just West of Perdido Pass. Perdido Pass is a favorite area for many people because of the boats that come through the Pass offer nice vistas and it's just a beautiful area. Grand Pointe sits on the jetties at the pass with Summer Breeze next door. 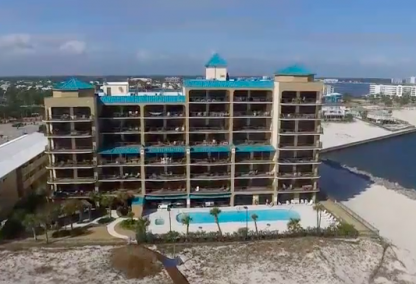 Perdido Beach Resort is pink and hard to miss and offers guests and residents a fine dining experience on the Gulf of Mexico and a great venue for weddings, events, and conferences. 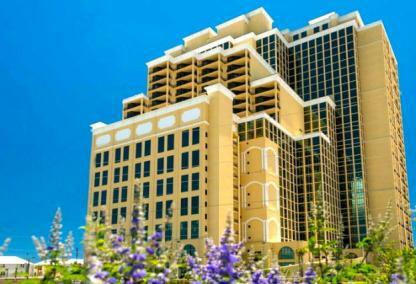 Phoenix East I & II sits beside Perdido Beach Resort. Perdido Dunes is off of the gulf and Phoenix IX is the condo farthest right in the photo. This area has a new pre-construction condo in the works that will be a low-density condo on the Gulf of Mexico sure to offer great views of the Pass. 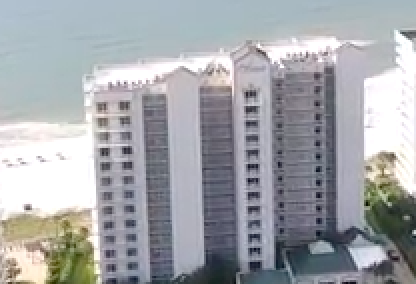 Check out Perdido Dunes condos for sale. 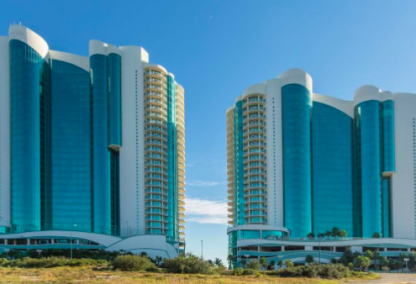 ReadGrand Pointe is located adjacent to Perdido Pass alongside the jetties, a popular fishing spot in Orange Beach. Condos are available in two-, three-, and four-bedroom plans and range from approx. 1240 - 2286 square feet. These units offer incredible views of the gulf and of boats traveling back and forth through Perdido Pass. Amenities at Grande Pointe include indoor/outdoor pools, gym, sauna, indoor hot tub, and BBQ area. SanRoc Cay dining & shopping district is just across the street. 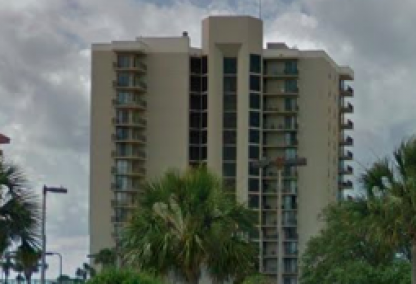 ReadPerdido Dunes is an older, low-density condominium built in 1980. The wooden frame complex holds two bedroom/two bathroom units with an average living area of 900 square feet. 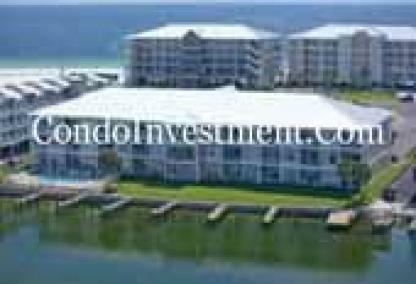 These condos are lower priced than other gulf front Orange Beach developments and have low HOA dues. The property features an outdoor pool and BBQ area. 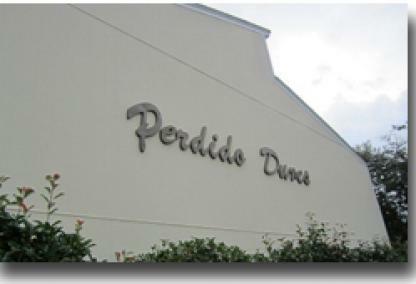 Perdido Dunes is just west of Perdido Pass and close to restaurants, shopping, marinas, and other attractions. 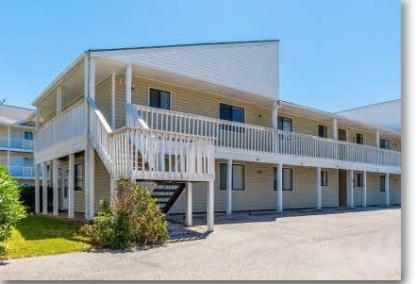 ReadBuilt in 1997, Phoenix East II is desirably located in central Orange Beach close to many restaurants, fishing excursions, and popular entertainment spots. The development offers 1-, 2-, & 3-bedroom units ranging from 800 SF - 1,430 SF of living area. A great family-friendly resort, the Phoenix East offers outdoor/indoor pools, a kid's splash pad, hot tubs, exercise facility, sauna, and tennis courts. 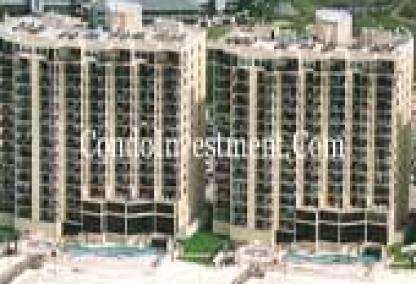 These condos rent extremely well and make excellent investment properties. Bella Luna is the only condo labeled that's not direct gulf front, but Bella Luna offers boat slips and is a short run to Perdido Pass. The pier area and around Ono Island is great fishing grounds, especially at night. Gulf views, boat slips and catching fish from the back yard isn't too bad. On the Gulf of Mexico, Phoenix X is the last condo in Alabama before the FloraBama and Mediterranea is the first gulf front condo in Florida. (Mediterranea not pictured) Perdido Place is rent-restricted and East of Phoenix IX. Regency Isle sits directly on the gulf and features a putting green. Broadmoor is furthest West in the image and also a rent-restricted gulf front condo. ReadPerdido Place is located on directly on the beach close to the state line. Built in 2001, these condos make ideal second homes with large living spaces in excess of 2,000 square feet. All units are three-bedroom plans with open living spaces, high ceilings, granite counters, storm shutters, and large balconies overlooking over 200 feet of private beachfront. Onsite amenities include an outdoor pool, indoor heated pool, exercise room, sauna, and covered parking. ReadBuilt in 2007, Phoenix on the Bay II sits adjacent to Phoenix on the Bay. The complex features spacious floor plans, modern furnishings, and amazing views of Perdido Pass and Terry Cove. Onsite amenities include a lazy river, outdoor/indoor pools, hot tubs, tennis courts, fitness room, boat launch and boat slip rentals. These condos make a good investment and generate an above average rental revenue for its location. On the eastern end of Orange Beach just over Perdido Pass Bridge are numerous condo developments on a quieter stretch of land along Ole River. Over the bridge and to the left sits three waterfront condominiums collectively known as The Caribe. 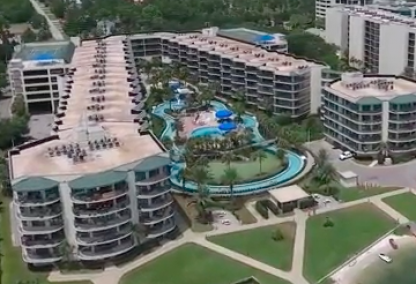 A top vacation destination in Orange Beach, this family-orientated resort features over 40,000 SF of pools, lazy river, putting green, onsite restaurant, and a private marina with the closest boat slips to the Gulf of Mexico. About a mile further east is Wind Drift, which is comprised of two complexes, on the beach and along Ole River. Wind Drift gives residents and guests the best of both worlds with beach access and boating facilities. The next condo on the left, is Dolphin Harbor, a low-density development with just 27 units. Additional low-density and low-rise complexes with assigned boat slips are Ole River, Portside, Jubilee Landing, and rent-restricted River Chase. 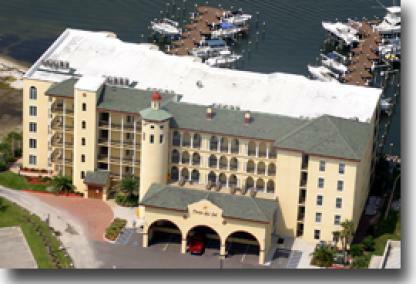 Also rent-restricted (30-day minimum) is The Yachtsman, a 28-unit complex with gulf access across the street and deepwater slips just minutes from Perdido Pass and Bird & Robinson Islands. ReadBuilt in 2000, The Yachtsman is a low-density condominium located directly on Old River and is across the street from the beach. All 28 units face the river with private balconies and are available in 3 or 4 bedrooms floor plans. The property features a private marina with deeded slips, fish cleaning station, waterfront pool, and BBQ area. Boaters can reach Perdido Pass, the Gulf of Mexico, and Robinson's Island in minutes. Numerous Orange Beach condos sit along Wolf Bay on the northern side of Canal Road and offering bay access, boat slips, fishing piers, and outdoor pools. These waterfront developments include Fish Camp, Bayview, Quarters at Wolf Bay, Villas By The Bay, Wolf Bay Villas, and Magnolia Key Townhomes. Nearby are local favorite restaurants Cosmo's, Doc's Seafood Shack, and popular brunch spot, Brick & Spoon. Orange Beach public beaches, recreation center, parks, shopping, and entertainment are all reachable in under 10 minutes. Orange Beach bay front condos located along Terry Cove include Walker Key, The Grander, Harbor Cove, Turtle Creek Landing, Casa Del Marina, and Buccaneer Landing. 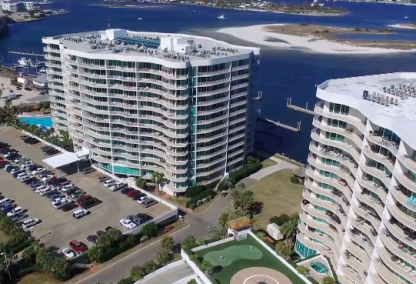 From these condos, boaters have quick access to the Gulf of Mexico via Perdido Pass and can easily reach popular hangout spots, Robinson Island & Bird Island, and waterfront restaurants Fisher's, Tacky Jack's, and Cobalt. 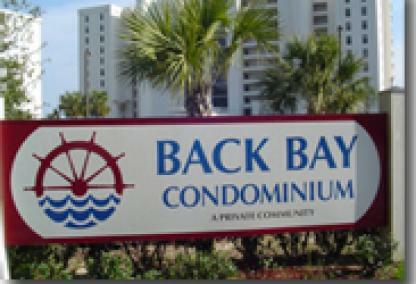 Condominiums along Cotton Bayou are found closer to the heart of Orange Beach and consist of Charter Landing, which sits next to SanRoc Cay & Marina, Grand Caribbean, and Cotton Bayou Condos. The majority of Orange Beach condos for sale are located directly along the city's sugar white beaches. In the heart of of Orange Beach, a handful of developments sit directly across the street from the beach and are walking distance to shopping plazas, attractions, and restaurants. 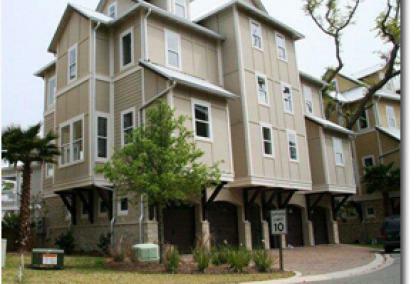 Romar Lakes is adjacent to Gulf State Park and offers two- and three-bedroom condos with lake views. 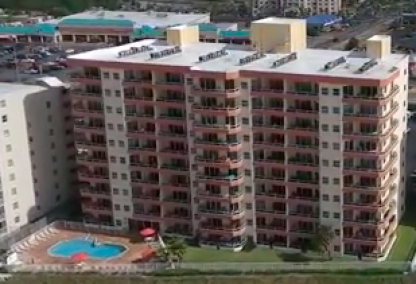 The condominium sits just behind Fin N Fork and Ruby Slipper restaurants and provides deeded access to the beach with a traffic light and crosswalk for easier and safer crossings. 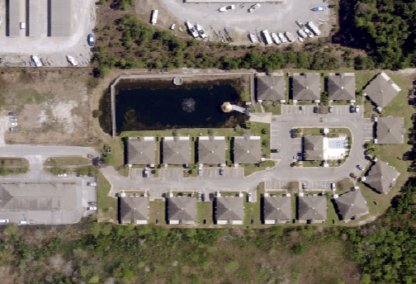 Mariner Lakes is a gated community also offering deeded beach access across the street. These condos make ideal permanent or secondary homes and are walking distance to grocery stores and several restaurants. 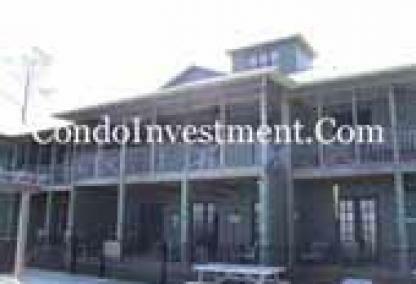 Other Gulf access condos include Cotton Bayou condominium which as the name suggests sits on Cotton Bayou and features a boat dock with 1st come, 1st served slips. Grand Caribbean is a popular family-friendly complex across the street from a public beach access and adjacent to Cotton Bayou boat launch. Amenities at Grand Caribbean include an outdoor pool, BBQ area, and extra parking for boats and trailers. The growing popularity of VRBO and similar online portals has put condo owners in competition with one another; even the local agencies use VRBO meaning that potential vacationers will find lists with almost every condo in a building. This unfavorable situation creates an opportunity for savvy owners to use additional websites to advertise their rental condo and see noticeable increases - example by the numbers. Circa 2013 we discovered that vacationers were using CondoInvestment.com and our condo network to research condos while planning their vacation. It makes sense; our network has more info that any other place including aerial imagery, videos and much more. We use this knowledge to direct rental traffic from our network directly to our condo owner's online landing page. Since these pages have availability calendars, it's effective and efficient. Read more on improving your income and our network. Annual condo rental income varies greatly depending on numerous factors including: location, amenities, size, water access, views, rent restrictions and many other attributes. *Please note - the numbers are based from one management company in the area. 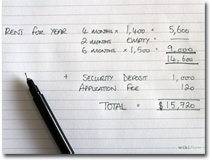 These figures are provided as a general guideline. The number of units in a particular building, owner usage and owner bookings are not factored in to the totals. For accurate rental revenue, please request a rental history for a specific condo for accurate rental history and info for future bookings on file. Also, our client condo network will significantly increase totals. 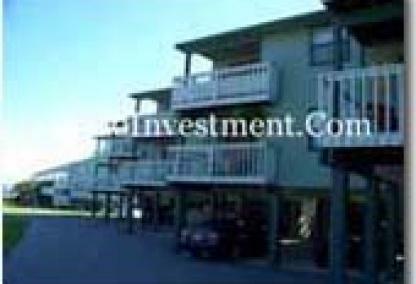 Visit our "Supplemental Rental Network" page for info on this program and how it can help maximize your investment income for your Orange Beach, AL condo. ReadDolphin Key is located east of Perdido Pass on the quiet stretch of beach near the AL/FL state line. This low-density beachfront condominium offers 3-bedroom/3-bath spacious units all with direct gulf views. 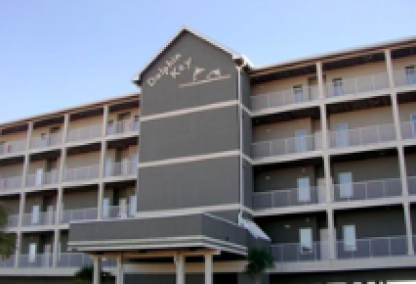 Dolphin Key is a non-rental complex and make great permanent residences or secondary homes. 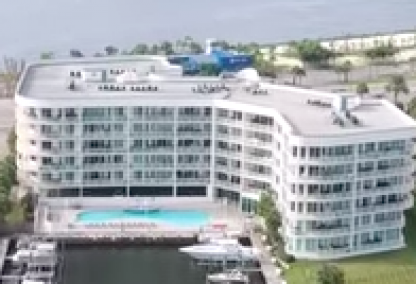 Amenities at Dolphin Key include an outdoor pool, grilling area, covered parking, and 1st come, 1st served boat slips on Old River just across the street. ReadEscapes! 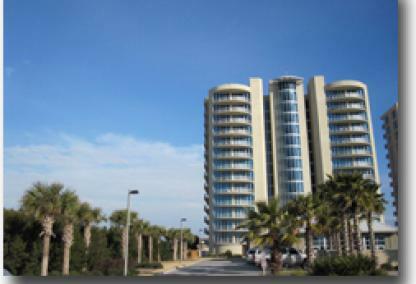 To the Shores is an upscale condo development on Orange Beach's western end. 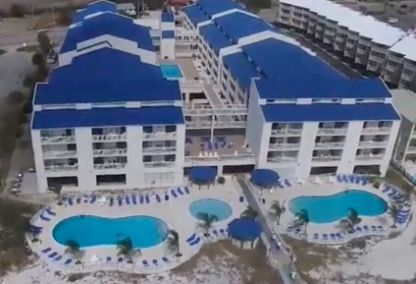 Numerous amenities are offered by the resort including a large gulf front pool, indoor pool, fitness facility, sauna, children's play area, and BBQ area with gas grills and fire pit. The complex holds 88 units ranging from 1 to 4 bedrooms with expansive balconies that overlook 100 feet of private beachfront. Escapes! To the Shores is minutes from many popular restaurants, shopping, and entertainment. 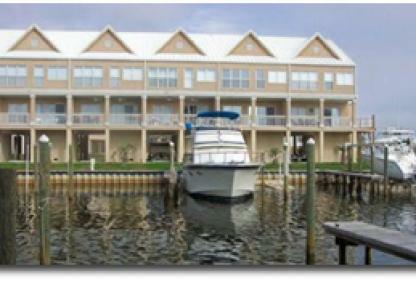 ReadFish Camp is a quaint and private bay-front community off Canal Rd in Orange Beach. Nestled on Wolf Bay, the property is made up of charming cottages ranging from 2 to 4 bedrooms with large southern-style porches. The neighborhood features a bayside pool surrounded by a sundeck, clubhouse, fishing pier, grilling/picnic area, and 1st come, 1st served boat slips. Fish Camp is minutes from central Orange Beach and is walking distance to Cosmo's, a very popular restaurant and bar in the area. 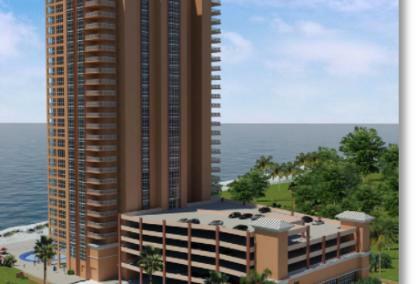 ReadDeveloped in the mid-80's, Lei Lani Mini Tower is part of a the Lei Lani development featuring frontage on both the Gulf of Mexico and Old River. Amenities include outdoor pools, indoor heated pool, tennis courts, BBQ area, fishing dock, and boat slips. Condos at Lei Lani Mini Tower are available in 1, 2, & 3 bedroom floors plans and range from 700 SF to 1,400 SF. 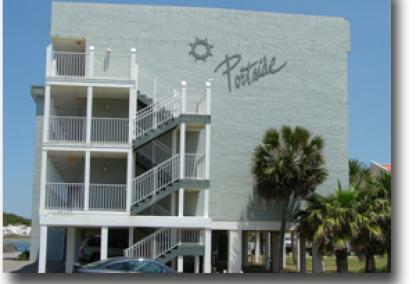 The complex is close to the state-line, restaurants, state parks, and is walking distance to the famous Flora-Bama. 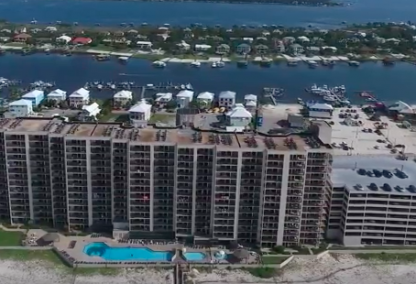 ReadMarlin Key is a low-density condominium situated on the quieter end of Orange Beach just 1.5 miles east of Perdido Pass Bridge. 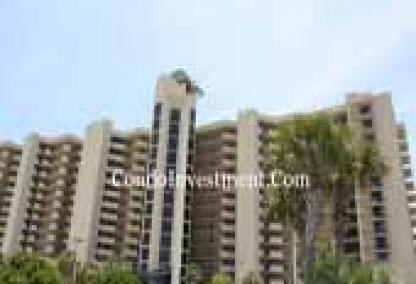 Made up of a mere 28 gulf front units, these nicely furnished condos feature open floor plans, high ceilings, wet bar with ice maker, and spacious balconies overlooking the pool and beach. Amenities include an outdoor pool, BBQ area, and covered parking. 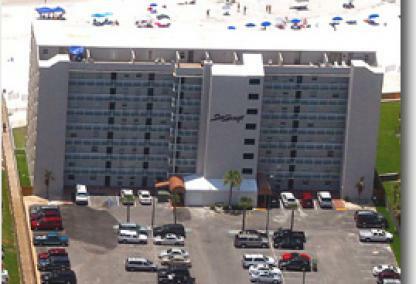 Marlin Key is close to restaurants, shopping, and popular entertainment spots such as Flora-Bama beach bar. 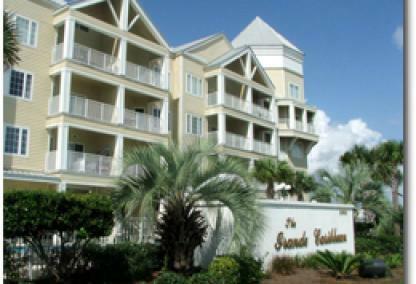 ReadOrange Beach Villas is located just off Canal Rd and approximately 1.5 miles east of the Foley Beach Express. The quaint community resembles a Key-West inspired village with colorful 3-bedroom cottages and tropical landscaping. The property features an outdoor swimming pool, clubhouse, gazebo, fishing pier, and fully stocked lake. Orange Beach Villas is minutes from restaurants and popular entertainment venues such as The Wharf and OWA amusement park. 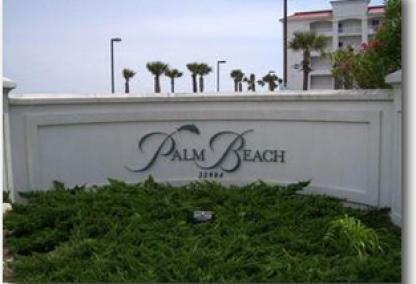 ReadPalm Beach is situated on the very west end of Orange Beach and is close to Gulf State Park. The low-rise condominiums holds a total of 100 units providing both direct and indirect gulf views. Condos range from 800 SF to 1,700 SF and offer 1, 2, & 3 floor plan options. Palm Beach is a great family destination with 2 outdoor pools (1 seasonally heated), exercise facility, and BBQ/picnic area. 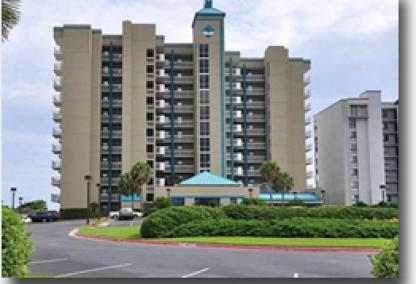 The complex is close to downtown Gulf Shores, restaurants, and local entertainment venues. 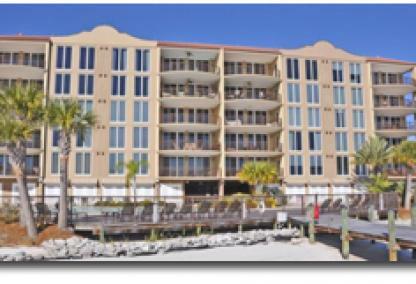 ReadLocated in the heart of Orange Beach, Phoenix Orange Beach II the area's newest gulf front condominium. Units are offered in 2-, 3-, and 4-bedroom layouts and feature modern appointments, floor-to-ceiling windows, tile flooring, granite counters, wet bars with ice-makers, and oversized balconies. The building will provide great amenities such as outdoor/indoor pools, hot tubs, lazy river, fitness center, covered parking, and climate controlled storage rooms. 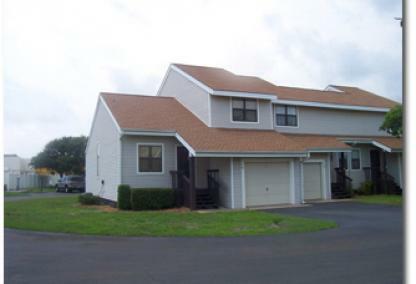 ReadBuilt in 1999, Phoenix VI is a popular condominium in the heart of Orange Beach. These condos have a strong rental history and make great investments. Tastefully decorated, this units have spacious floor plans, fully equipped kitchens, and floor-to-ceiling glass in the living rooms. The development is loaded with amenities such as outdoor/indoor pools, hot tubs, fitness room, BBQ area, tennis and racquetball courts. Phoenix VI is across the street from Zeke's Marina and close to restaurants. ReadPart of the popular Phoenix condominiums, Phoenix VII is sure not to disappoint. These developments are known for plentiful amenities such as beachfront pools, indoor heated pools, hot tubs, kiddie pool, gym, saunas, tennis and racquetball courts. Built in 1998, the complex offers 1, 2, & 3 bedroom units ranging from 800 SF to 1,300 SF. Centrally located, these condos make great vacation homes and also have great rental revenue potential. 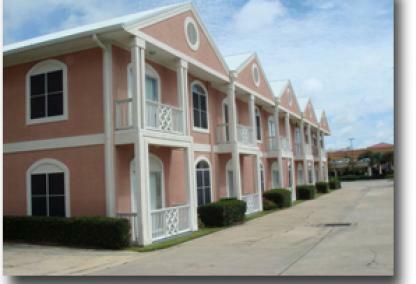 ReadBuilt in 2000, Phoenix VIII is a family-favorite condominium complex in central Orange Beach. The building is structurally sound with a poured-in-place concrete exterior with solid reinforced concrete walls between each unit. Residents can enjoy the large beachfront pool, hot tubs, sauna, tennis & racquetball courts. Units offer nice interior finishings and come in one, two, or three bedroom floor plans. Phoenix VIII is minutes from popular restaurants, dining, and entertainment venues. ReadRomar Place is desirably located in the heart of Orange Beach and minutes from restaurants and shopping centers. Built in the mid-90's, the low-density complex holds 66 units with 3 bedroom and 3 or 2 bath floor plans. These units offer stunning direct gulf front views with access to private, tiled balconies from the living room or master suite. Romar Place offers residents with a beachfront pool, indoor pool, kiddie pool, hot tub, exercise room, sauna, and BBQ grills. 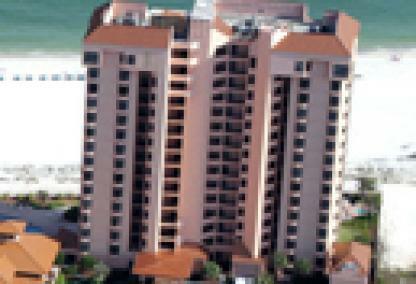 ReadBuilt in the mid 90's, Silver Beach condominiums are desirably located in the heart of Orange Beach. These well-appointed units are available in 2 or 3 bedroom floor plans ranging from 800 to 1,100 square feet. The development features a large gulf-front pool and is one of the few beachfront properties to allow pets for both owners & renters. Publix, Walmart, and Winn-Dixie are located across the street. 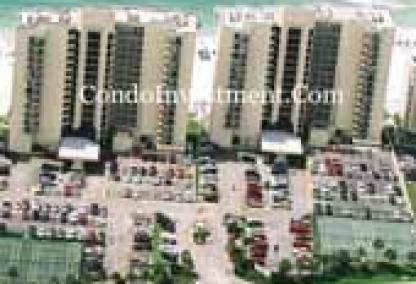 Silver Beach condos bring in high rental revenue making it a great investment choice. 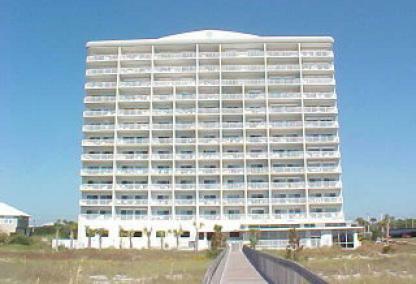 ReadBuilt in 1983, Sunswept is one of the earliest condo developments built in Orange Beach. The complex offers 1, 2, & 3 bedroom condos ranging from 675 SF to 1,400 SF. Top floor units are very unique with 2-story townhome-style floor plans and boast an incredible rooftop deck. Sunswept amenities include a swimming pool, private courtyard, and BBQ area. This development is centrally located and across the street from Wal-Mart and Hazel's, a seafood restaurant favored by locals. 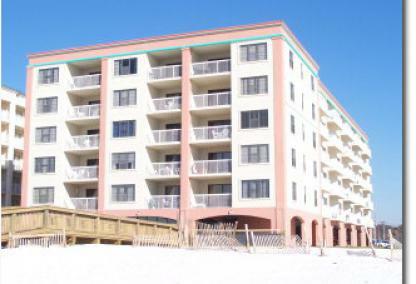 ReadThe Enclave is a beachfront development and one of the top rental income producers in Orange Beach. These nicely furnished units are available in 3 or 4 bedrooms with spacious floor plans and gulf-facing balconies. The property is ideally located in Central Orange Beach and sits directly across from large shopping centers and Winn-Dixie, Publix, & Walmart grocery stores. The Enclave provides guests with outdoor & indoor pools, a lighted tennis court, meeting room, and BBQ grilling area. 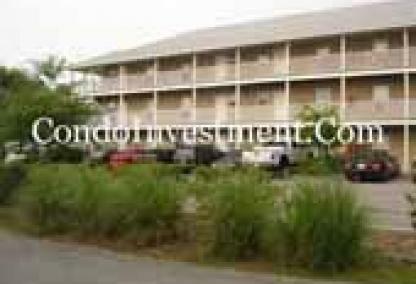 ReadBuilt in 1999, Tidewater is a centrally located beachfront condominium comprised of just over 100 units. 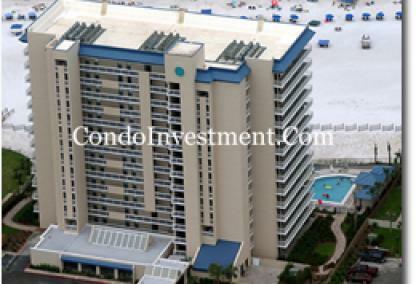 The condos at Tidewater are one of the top rental-income producers in Orange Beach. These units are available in 1 to 3 bedroom floor plans. Amenities include a gulf front pool, indoor pool, hot tub, fitness center, BBQ terrace, and gated entrance to complex. Tidewater is a favorite vacation destination with restaurants, shopping, fishing charters, and entertainment just minutes away. 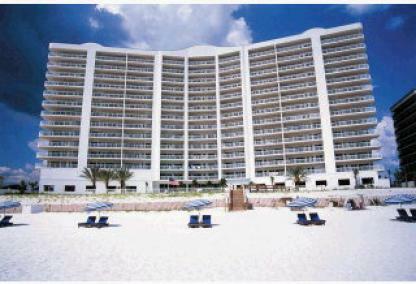 ReadTurquoise Place is highly regarded as Orange Beach's most premier beachfront resort. Turquoise features approximately 400 upscale units ranging from 2,300 SF to over 5,500 SF. These condos are elegantly furnished with high-end appliances, floor-to-ceiling windows, and grand balconies complete with a private hot tub, outdoor gas grill, & refrigerator. Turquoise Place amenities include a 450-foot lazy river, multiple pools, kid's playground, tennis courts, fitness center, spa, and restaurant. 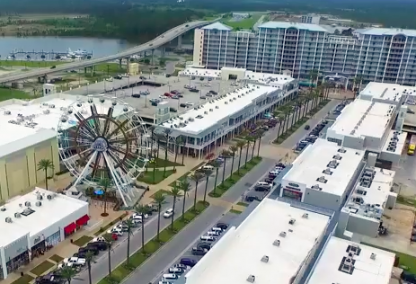 April 2, 2019 - Orange Beach, AL has numerous pre-construction projects underway. Over the last few years, the only new gulf front condominiums built are those by the prolific Phoenix Developers. Phoenix Orange Beach opened its doors in January 2019. 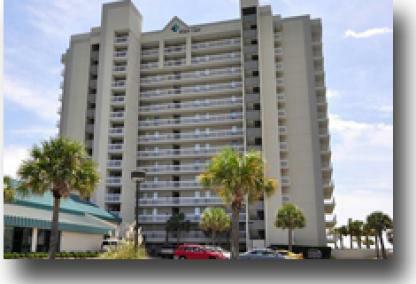 This high-rise complex is located in the heart of Orange Beach sitting between Tidewater condo and Island House Hotel. Its sister development, Phoenix Orange Beach II is currently under construction with a completion date in mid 2020. Like all Phoenix condos, both of these buildings offer a great amenity package including resort-style pools, heated indoor pools, hot tubs, tennis courts, fitness centers, and more. Construction has also started for Phoenix Gulf Towers which broke ground on the site at the first of the year. These two 26-story towers will hold 192 two-, three-, and four-bedroom units with direct gulf views. The west tower is the first to be constructed and these condos are pre-selling now. Announced in March, Sky condominium is a beachfront luxury development offering 5-bedroom/5.5 units (2 per floor). The planned site sits just east of Summerchase condo and will boast high-end furnishings and great amenities including pools, a gulf front fitness center, and ample parking with Tesla charging stations. View our comprehensive list of all pre-construction projects on the Alabama Coast and Florida Panhandle on our Gulf Coast Pre-Construction page. Find existing Orange Beach condos for sale and pre construction condos that are both under construction and in the planning phase. 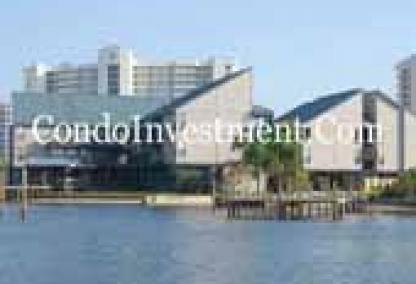 Sort through condos using water front type, number of bedrooms or filter condos in Orange Beach for sale with the highest rental revenue and easily separate the condos with boat slips. The graph below shows the market statistics for Orange Beach condos since the beginning of 2019. A total of 167 condos have been sold in Orange Beach AL between January through March with a median of 50 days on the market. The current 2019 sales volume is approximately $93 million. January through March 2019, the average sold price for an Orange Beach condo is $577,392 compared to $462,343 in 2018 during the same time period. View all current Orange Beach condo listings via our sale page or browse for specific units using our pre-defined searches on the right navigation bar. 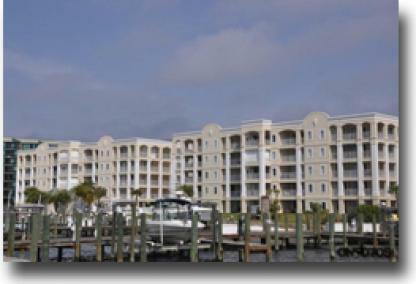 Find Orange Beach gulf front condos, bay front condos, or canal front condos along the Intracoastal Waterway. 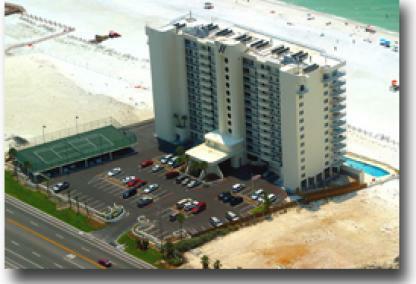 For detailed info on recently sold condos such as sold prices and closing dates on our Orange Beach SOLD condos page. Interested in the Gulf Shores condo market? 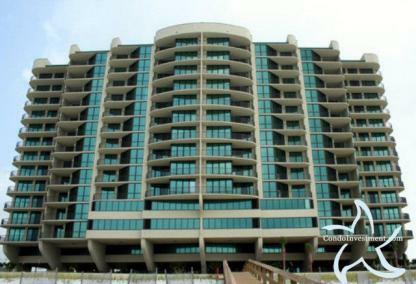 Visit our Gulf Shores Condos Sales page to view stats, recently sold listings, and all Gulf Shores condos for sale. For questions or property inquiries please email info@condoinvestment.com or send a message through our online chat feature at the bottom right of the page.